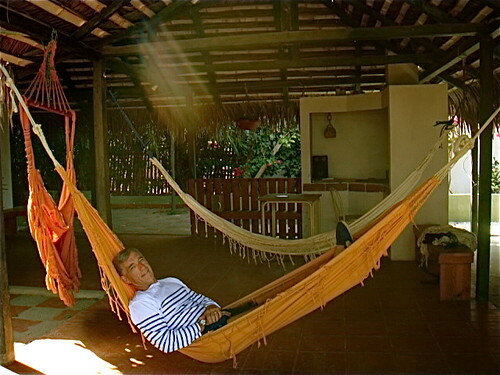 Many readers report that they reduce stress in Ecuador. We can position our lives so the process of earning is relaxing… enjoyable as we serve the greater good. You can reduce stress in Ecuador… because life is inexpensive… less complicated and the length of the days and weather remain quite constant. You can reduce stress if you make changes and many it appears are doing so as the excerpt below form the USA Today article “Older workers embrace career change, less stress” by Dave Carpenter, AP Personal Finance Writer explains. The article says: Less pay, fewer benefits, lower prestige — and greater job satisfaction. Older workers and retirees moving into different lines of work can take heart from a study that finds they are likely to enjoy their new jobs more than their old ones. In an era when pink slips are flying and some career paths may be cut short because of the economy, many job switches may be forced rather than voluntary. But whatever the reason, there’s new evidence that suggests career changes work out well for the overwhelming majority of older workers because of reduced stress and flexible work schedules. AARP followed over-50 workers for more than a decade to study career changes and find out how they fared. In all, 91% of the study group said they enjoyed their new jobs, a significant bump from a 79% thumbs-up for their old jobs. “The study shows dramatically that workers are putting a premium on reduced stress as they downshift a bit,” says Susan Reinhard, senior vice president of the AARP Public Policy Institute. Already common, career change among older workers is likely to grow as the baby-boom generation nears traditional retirement age. Murray Scureman, 70, of Potomac, Md., didn’t wait for a recession to make the leap. He walked away from a lucrative job as lobbyist for a computer manufacturer to pursue his passion: building. Today the one-time systems engineer, who is divorced, runs a successful home renovation business and doesn’t look back, even though he makes roughly half his old corporate salary of about $200,000. “It’s about ‘What do you want to do when you grow up?”‘ he says. Scureman knew it was time to act when he started to eat, sleep and think renovation at his old job — doodling in meetings while giving his own home a makeover in his free time. He finally left to start a business with a builder before striking out on his own with Denham Development Group. The study tracked full-time workers who were 51 to 55 years old in 1992. Two-thirds of workers who changed jobs between then and 2006 — and 27% of all the workers — switched occupations. Their new careers, including part-time work, paid significantly less per hour: a median hourly wage of $10.86 in 2007 dollars, down from $16.86 in the old job. Nearly a quarter of the career-changers lost health insurance benefits and many gave up pensions. The jobs tended to have less social standing than the earlier work, with many former managers moving into sales. • Only 36% of those surveyed reported stressful work conditions in the new job, a sharp drop from 65% in the old job. • About 45% said they had a flexible work schedule in the new job, vs. 27% in the previous job. Mal Krinn made the switch when he had the chance to turn a hobby into a second profession. Not many people would willingly leave the security of an established doctor’s practice for a job in a kitchen. Krinn did that at age 62, going to work for his son, a chef and restaurateur. Seven years later, he has no regrets about having given up doctor’s dough to create and knead bread dough, which he does at Jonathan’s chic restaurant Inox in Tysons Corner, Va. So if you are thinking of a change to reduce stress… do it. We are only on this path a short time. Consider Ecuador. 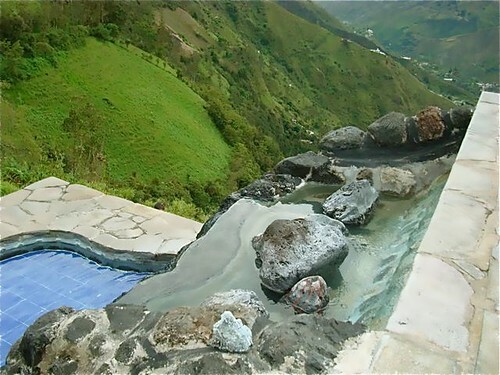 spas in Ecuador where you can reduce stress. Jean Marie Butterlin who conducts our Super Thinking plus Spanish and Shamanic programs in Ecuador is currently researching Ecuador spas. 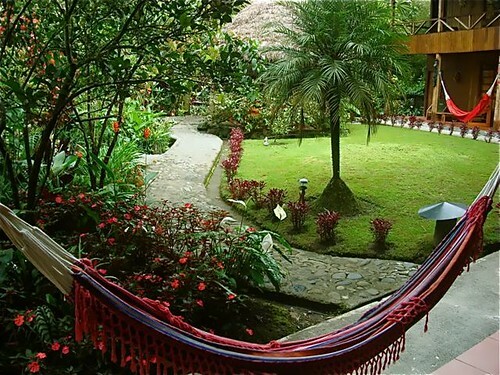 Swing in a tropical hammock or soak in a pool overlooking Banos. See how to reduce stress with a new occupation. See a special offer on how to live well and free anywhere.